Having a well-built website is a key component of any business strategy these days. Your website will often be the first way that potential clients and customers interact with your business – and you know what they say about first impressions. They can be lasting, or they can be your last chance. In this article, we’ll explore the ENDREA Method™ tips for building a website that will ensure your first impression is a good, long-lasting one that keeps users coming back for more. Increase your page load speed by optimizing image sizes, minimize the number of redirects, and using as few plugins as possible. Make sure your site is optimized for mobile – more than 60% of searches come from mobile devices. Great content is the key to ensuring that users stay engaged on your site, and keeps them coming back time and time again. As you know, it can take several interactions to convert a potential client into a paying one; so great content could mean the difference between making a sale and not. Check Google Trends to see what topics people are searching for, and don’t just copy what everyone else is saying – try to write about things from your own angle and perspective. Video content is also highly effective. In fact, it may be more effective than written content when it comes to keeping users engaged on your site for longer periods of time. Not only that, but video content converts more often as well – almost 5% more often! Bonus: great content also helps improve your SEO ranking. Include a contact page – preferably with a contact form. Many customers prefer not to have to pick up the phone. If possible, accept orders online. 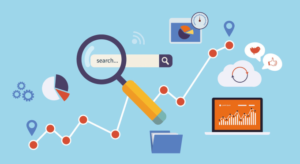 The best part of all of these tips is that many of them will also help improve your SEO ranking – which, remember, is the key to helping potential customers find your website in the first place. The more user-friendly and easy-to-read your website is, the higher it will be ranked in the search results, and the easier time customers will have finding and buying your products and services. It’s one sure-fire way to build, keep, and grow a loyal client base. Curious about how user-friendly your website is? Let us do a website audit for you! For free we will visit your company’s website and conduct an audit to get things started on how to create a user-friendly website.